The highlight of the portion of Beshallach is the climax of the Exodus story, the crossing of the Red Sea. Immediately after the Israelites cross the sea, Moses leads them in song, a model of communal singing that we still practice today in the recitation of the Hallel psalms on holidays. Just before they cross the sea, the Israelites are trapped between the Pharaoh’s army and the shore. At that moment, the Torah recounts that God speaks to Moses and says, “Why do you cry unto me?” and instructs Moses to lead the people through the soon-to-be-parted water. The verse is a bit strange, as while the people complain to Moses that “there were not enough graves in Egypt, so you led us to die here” (the first expression of Jewish guilt-tripping), Moses in fact tells them to watch what God is about to do. Why, then, does God say to Moses, “Why do you cry unto me?” As they Rabbis play with this verse in the midrash, they dwell on the idea that God hears prayer even before it is uttered. Moses didn’t even need to cry to God for God to anticipate that this is what would happen. Another explanation of ’O Thou that hearest prayer’. You will find that a mortal man cannot grasp the conversation of two people speaking at the same time, but with God it is not so. All pray before Him, and He understands and receives all their prayers. The general theme of these midrashim is that the act of communal prayer is a miraculous one, in which each individual melds into community, and each community melds into the totality of Israel, all the while preserving the uniqueness of the individual and the community. Each prayer becomes a jewel in the crown that the angel places upon God. This is a testament both to God’s singularity and to the singularity of the prayer experience. The midrash here is setting up one of two bookends. The other will come next week in Parshat Yitro during the revelation at Sinai. In that case, the midrash tells us that each individual heard God’s voice in the voice that was appropriate to him or her, essentially in his or her own voice. The miraculousness there is that everyone experienced the same thing while experiencing something unique. Prayer and revelation then become two modes of this same radical experience, in which the uniqueness of our individual soul, language and life is bound up, carried, elaborated, and enriched by the uniqueness and the totality of the our fellow-travelers. Prayer opens us to the possibility of revelation, revelation opens us to the possibility of prayer. Tefillah and Torah are two expressions of the same mystery. A quick shout-out to my college friend and fantastic Jewish educator Rabbi Josh Cahan, who has a new blog about independent prayer groups and other thoughtful stuff. 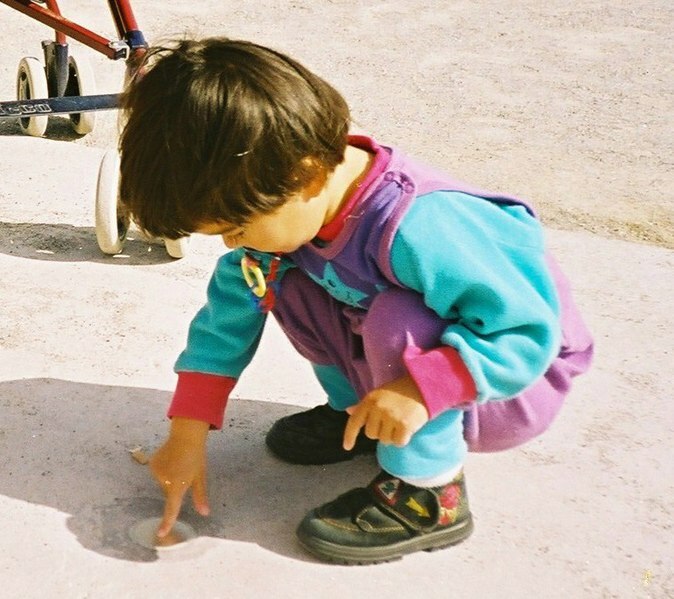 Here’s a post on the effect of children in indie minyans: http://joshcahan.blogspot.com/2010/01/children-and-identity.html. 2. A friend and colleague writes to a listserv of Jewish communal leaders under the subject line “Haiti,” in a matter-of-fact sort of way, “Who’s going? I know civilian flights aren’t getting there, but maybe we can get on a military transport?”A discussion ensues on the listserv about the appropriate place for unskilled volunteers, about what is the best way to do good right now. It is impossible for us to read Parshat Vaera, which accounts for seven of the ten plagues in Egypt, without thinking of Haiti this week. Yet the ways in which we reflect on the catastrophe there through the prism of the parsha require careful thought (to be contrasted, for instance, with Pat Robertson’s remarks). The Passover Haggadah builds a midrash on the verses of Deuteronomy 26,8: “And the Lord took us out of Egypt with a strong hand and an outstretched arm, with awesome power, with signs and wonders.” On the words “awesome power,” the Haggadah states, “This is the revelation of the Divine Presence, as it is stated, ‘Has God done such things, to take one nation out from another… like all that which the Lord your God did before your eyes in Egypt? (Deut. 4:34)” As Rashi points out, the phrase “before your eyes” indicates that this was a visual experience, and that therefore the apprehension of the Divine Presence was a visual one: the Israelites saw God in this moment. How are we to understand this? Is the Divine Presence in the destruction itself? A careful reading of the text reminds us that the answer is no. God is not interested in wanton destruction. Though the purpose of the plagues is to humble Pharaoh and the Egyptians, and to show that “there is none like Me in all the Earth,” the power displayed through the plagues is not God being capricious. On the contrary, the point of the plagues is precisely to show the mightiest nation on the earth that they are accountable to something greater, that they must remember that we are all members of the same Creation. I would propose that the apprehension of the Shechina, the Divine Presence, is to be understood in this way. Seeing the Divine Presence means deeply experiencing the ultimate frailty of human life, and simultaneously affirming the meaning of our existence. It is a radical response to suffering. The Midrash states that what the Israelites saw in Egypt was a unique occurrence in human history: “A handmaiden at the Red Sea saw more than the prophet Ezekiel” (Mechilta Beshalach Shira 23). But in our affirmation of the possibility of human life in the face of suffering on such a magnitude, we partake of the same spirit as the ancient Israelites. In our zeal to help–even if that zeal is not precisely what is most useful right now–we tap into the same Presence as they did. And in doing so, we remind ourselves that we are not alone, that generations before us and generations to come have dealt and will deal with suffering and horror and pain, and yet human life will continue and we will still make meaning of it. I do not know what the Haitians are singing at night, but imagine the words of Psalm 23 may be on their lips: “Though I walk through the valley of the shadow of death I fear no evil, for you are with me.” Granted, it is easy to say these things from far away. But as we enter this Shabbat and read the story of the plagues, we are called on to find the Divine Presence and bring it out for all to see. 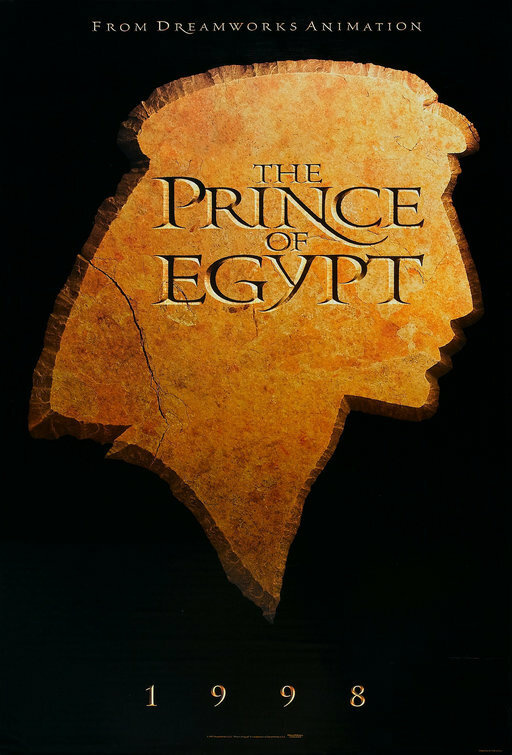 My kids and I recently watched ‘The Prince of Egypt,’ Jeffrey Katzenberg’s animated take on the Exodus story. And while I liked the movie a lot, there was one major misconception that I found problematic: the movie made the Exodus story all about freedom. Granted, freedom is a key piece of the story. We refer to Passover as “z’man heruteinu,” the time of our liberation. Self-determination is an important value. As the movie portrays it, the thing that is wrong is the notion that human beings are enslaved. In a moving episode, Moses asks Pharaoh (his erstwhile brother, in this telling anyway), What do you see when you look out on all your building projects? Pharaoh sees an empire; Moses sees it built on the backs of slaves. The insight is thus to see all human beings as created equally in God’s image, which leads to the notion that all human beings must be free to make their own choices. But in its modern telling, of which ‘The Prince of Egypt’ is now a canonical instrument, the valence of the word ‘freedom’ has obscured a fundamental question: freedom for what? Katzenberg’s movie focuses on the plagues and the splitting of the sea, and gives about 30 seconds at the end to an image of Moses going to Mount Sinai to receive the Torah, all the while keeping the focus on Moses. The story thus becomes, “Moses was a prince of Egypt who led his people, the Hebrews, out of slavery, and became a lawgiver,” as though the last part is a throwaway line. But of course the law is equally as important as the freedom. Freedom from another’s rule by itself is not enough; freedom must directed towards a purpose. In the case of the Exodus story, this theme is clear from the outset. God tells Moses to bring the people to the mountain. Moses repeatedly tells Pharaoh in God’s name to “send forth my people” (a more literal translation of “let my people go”) “so that they may serve me.” The children of Israel go from avadim, servants, of Pharaoh to being avadim, servants, of God. The story isn’t about losing the status of eved, servant; the story is about changing the master to whom service is rendered. This is why we connect the holidays Passover and Shavuot–z’man heruteinu and z’man matan torateinu, the time of our liberation and the time of the giving of our Torah–with the counting of the Omer. You can’t have one without the other. For at least the last 50 years, and perhaps longer, Americans have focused on the ‘freedom from’ of the Exodus story, but have forgotten the ‘freedom for’ aspect. Nowhere is this phenomenon as pronounced as in our institutions of higher education. We rightly emphasize critical thinking and a doubting approach to authority. But our academic culture has largely lost the second, crucial step: after asking “what is false?” we must also ask “what is true?” The service of Pharaoh is false, the service of God is true. What does it mean to serve God? That is the biggest question of them all. In the words of Hillel: Go and learn. Judaism as a religion benefits from Jewish peoplehood and the sense of warmth, belonging and unconditional love and commitment that come with it. At the same time, simply distilling Jewishness down to a content-free ethnic categorization determined by one’s mother threatens to trivialize and marginalize any sense of Jewish purpose and mission. Only a concept of Judaism that sees a religious mission embedded within an ethnic group — albeit with the possibility of both entry and exit at the margins — can do justice to the richness of Jewish history. Now that the British court case is decided, Jews, as an ancient people and faith, must even more urgently return to a basic question: Do we share a future as a result of our common ethnic past, or is our common past irrelevant if we don’t share a religious vision for the future? Ethan captures a major tension within Jewish life today and insists, as I do, that we cannot exist without it. Jewish identity cannot be reduced to biology or genetics–in fact, these things are immaterial as far as Jewishness goes. But one also cannot be Jewish simply because one is compelled by the ideas of Jewish life. You have to make an existential commitment, you have to join the community. Unfortunately, in our world, we have few if any analogous terms, so this can be a difficult thing for people to grasp. Ethan does a good job of making it clear. The other piece in the Forward is this one by Jay Michaelson, about the myth of authenticity in Jewish life. 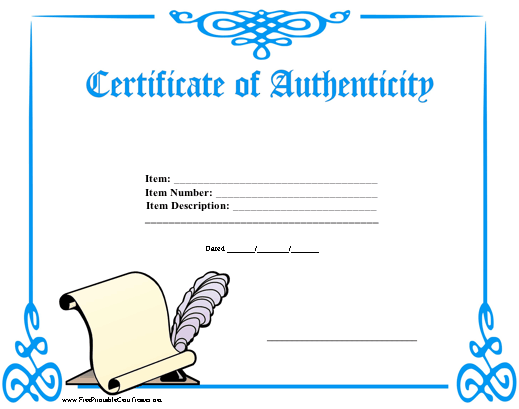 Jay argues that authenticity is an historically-constructed idea, something that never truly existed. “Meaningful authenticity isn’t about an old religious form or a Yiddish pun… It’s when a religious, literary or cultural form — old, new or alt-neu — speaks to the depths of what it is to be human. This is good stuff, and I certainly believe it. But here’s what I fear: Most people simply don’t approach life with this level of sophistication. Jay rightly insists that this is more than an issue of simple individual preference. It should involve real discernment and soul-searching to arrive at a point of “carefully considered internal coherence.” I totally agree. But I don’t think that we live now, or have ever lived, in a culture in which all the people reading a column like this are capable of this kind of intellectual-spiritual heavy lifting. Despite the fact that most Jews are college-educated (or, more likely, because they are college-educated), they aren’t going to do this work, either because they don’t know how or won’t make the time. It’s much easier living with an ossified authenticity. That, to me, is the true challenge for thoughtful progressive Judaism today. Yes, there are havura communities that have successfully raised a generation of committed, thoughtful, liberal Jews. But they are far from the norm. Orthodoxy, on the other hand, has grown and seems poised to continue to do so, the economic crisis notwithstanding. At the end of the day, the biggest thing one loses in stepping out of the Orthodox community is the ability to speak in terms of hiyyuv, obligation. Even if many Orthodox Jews don’t follow through on their obligations, they nonetheless submit to the sense of obligation, and can sustain an entire discourse and worldview around it–one which is accessible by the amcha and the elite alike. Progressive Judaism, for my money anyway, hasn’t yet shown me what a large self-sustaining community of non-hiyyuv-oriented people looks like. Perhaps that’s what it needs to have the self-confidence that comes when you tell yourself you’re authentic.